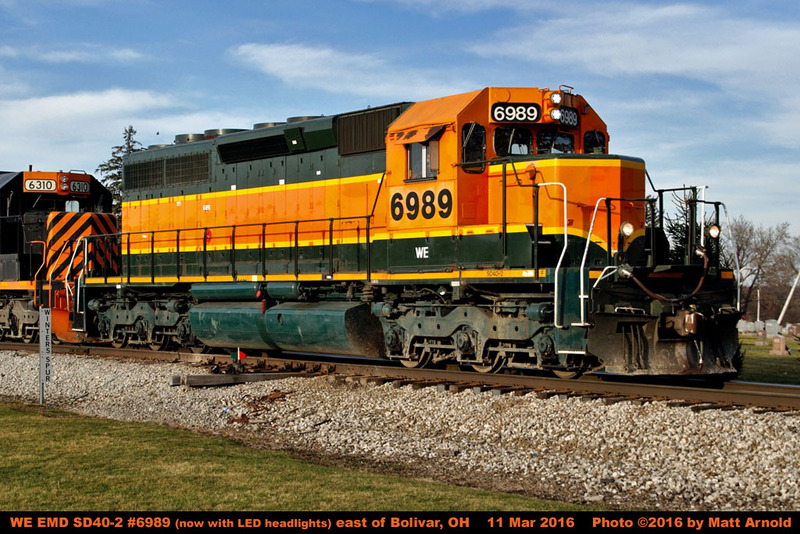 This page was last updated on November 12, 2016.
as well as the dark green paint on the trucks, fuel/air tanks, and the step wells. 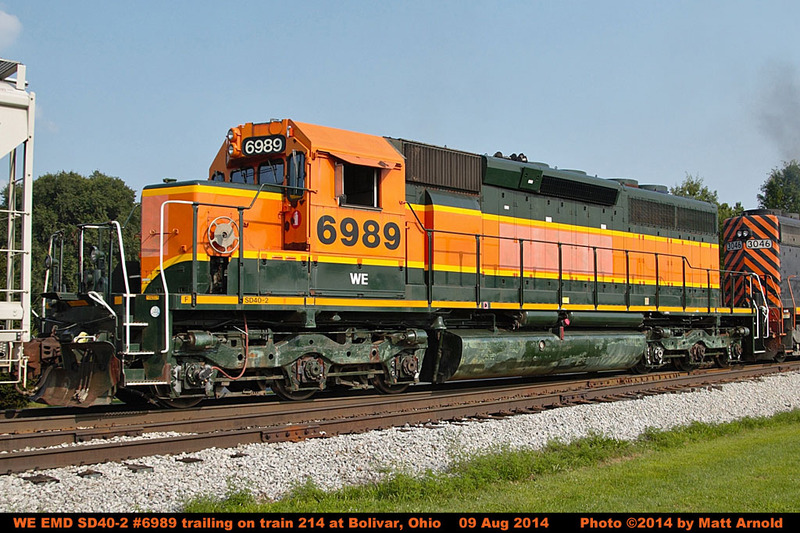 The 6989 was quickly put into service by the W&LE following its arrival. 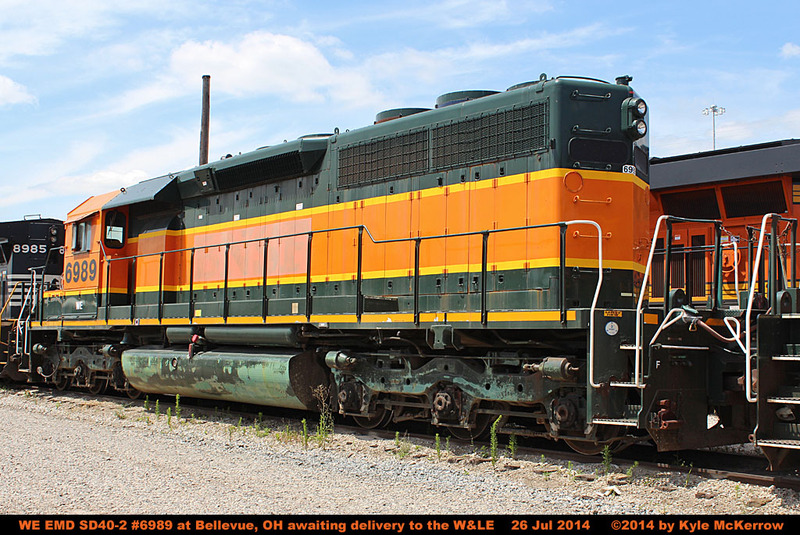 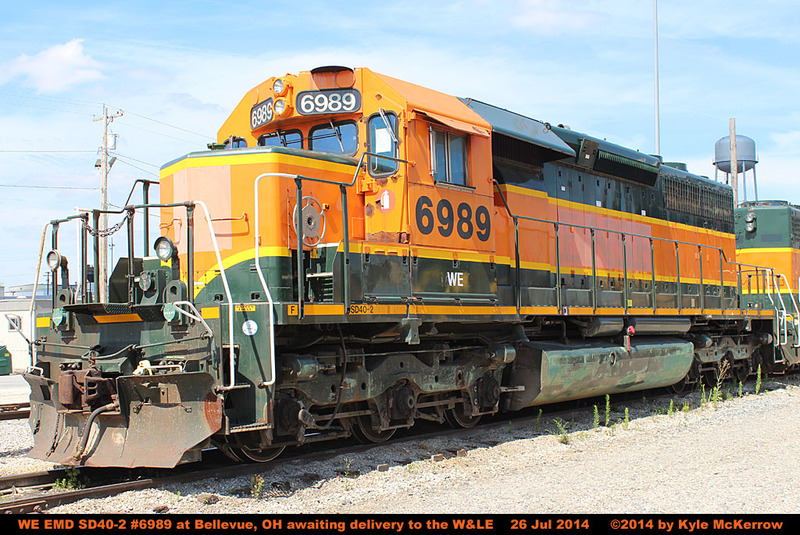 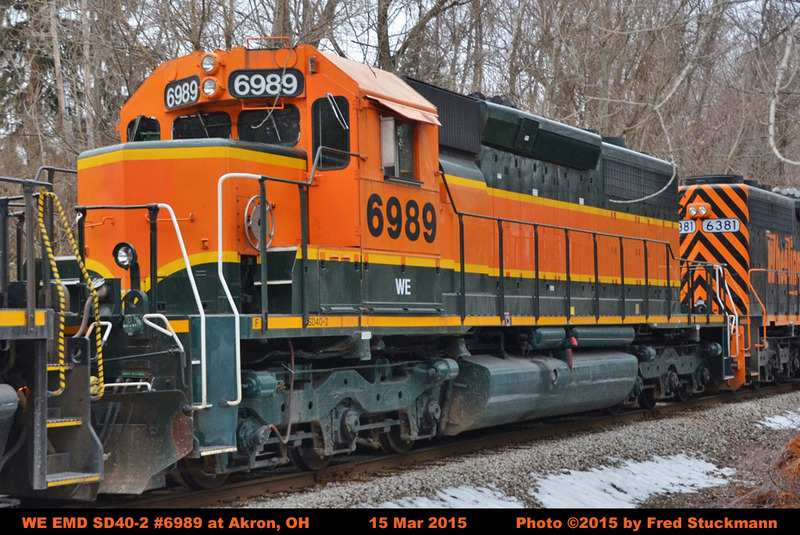 The W&LE acquired MJRX 6989 in July 2014 from Railway Service Contractors.